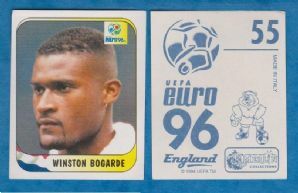 Football sticker issued by Merlin as part of the Euro 96 series. Measures approximately 5.3 x 6.7cm. 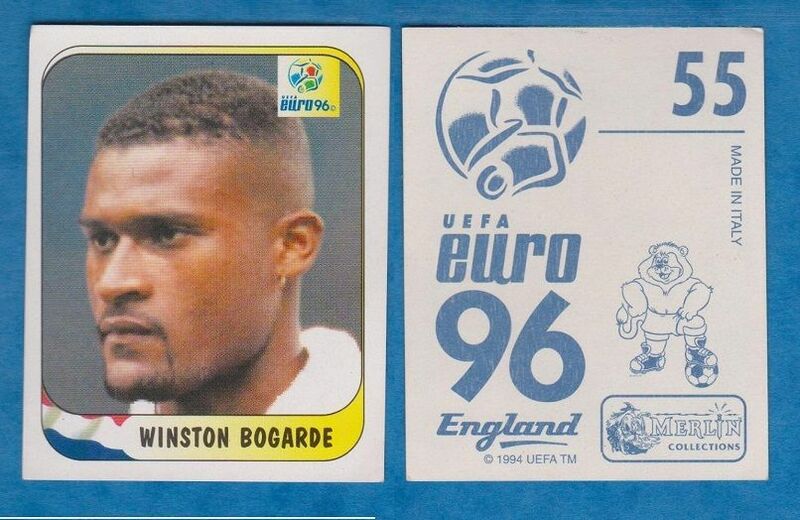 Depicting the Holland footballer Winston Bogarde, who played for Ajax, A.C Milan, Barcelona, Chelsea, S.V.V & Sparta Rotterdam.